Do you know a future small business owner? 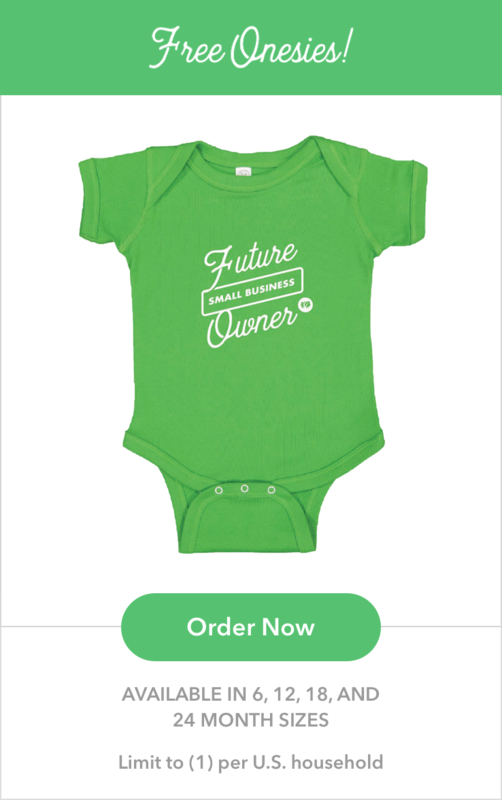 Help them show their small business pride with a free “Future Small Business Owner” onesie, courtesy of Kabbage! Our goal is to outfit every future business owner in a Kabbage onesie to foster inspiration and support among the small business community. Tag @KabbageInc on Twitter and Instagram or @Kabbage on Facebook, and use #futuresmallbizowner. Tell us about your business and why you hope your loved one becomes a business owner one day. We’ll share some of your stories and images across our social profiles. Kabbage surveyed more than 1,000 small business owners, and 84% of business owners wish their children one day become a #futuresmallbizowner. Copyright © 2018 Kabbage Inc. All rights reserved. Kabbage is a registered trademark of Kabbage, Inc.